January 13, 2013: How Crazy Is That?! 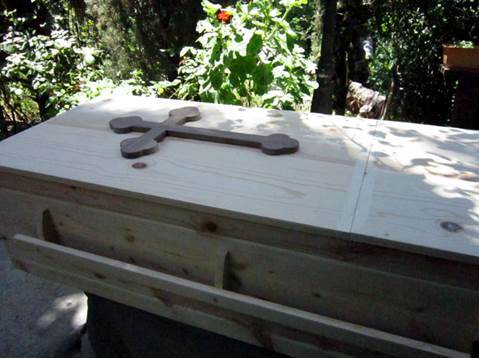 Our monastery caskets are simple and beautiful. Each casket, crafted from fine solid pine veneer, is prayerfully lined and finished by the sisterhood. 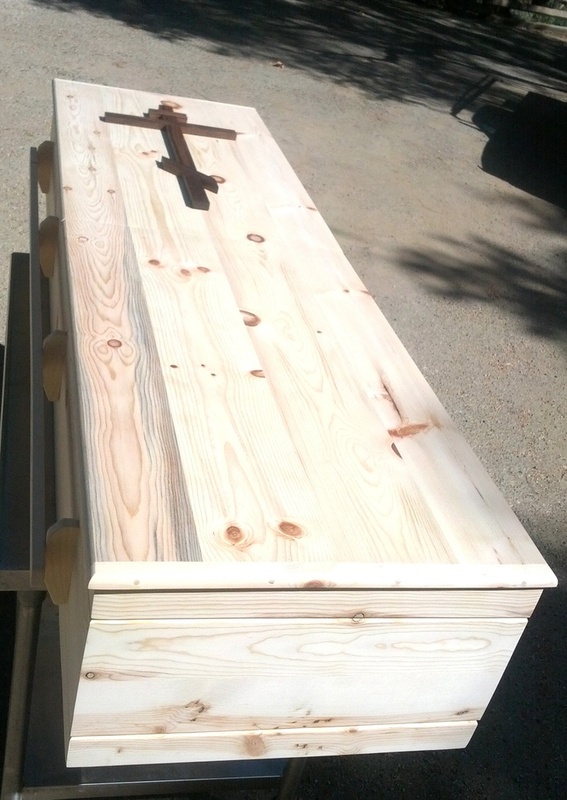 The casket features fully removeable upper and lower lids, which are secured with oil-rubbed bronzed pins. 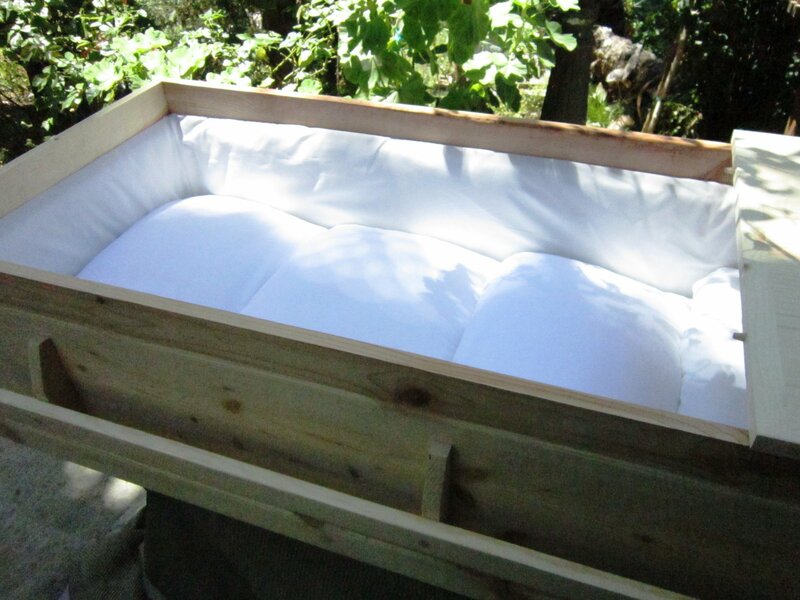 For Orthodox funerals, in which the open casket is placed in the middle of the church, the viewing lid may be removed allowing the congregation to gather around both sides of the casket. Your purchase helps to support the life of our monastery. Price includes California sales tax, but does not include shipping costs. To place an order, to arrange a local pickup or delivery, or to inquire about long distance shipping, please contact our monastery. Each cross is handcrafted by a local woodworker using fine quality wood.